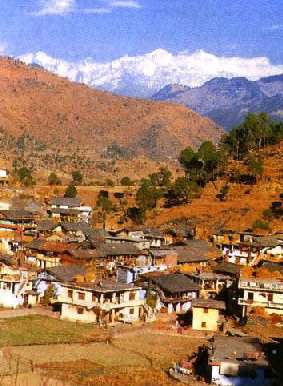 In the lap of Uttarakhand lies a sleepy town called Barkot, where even silence is understood. This hill town is tucked away at an elevation of 1,220 metres above sea level, where you’ll probably be greeted by red-cheeked kids with their welcoming smiles. The magnificent Banderpoonch peak and other massive peaks of the Himalayan range are distinctly visible from Barkot. Barkot is an ideal holidaying and adventure destination as the place offers many trekking excursions. This undisturbed hill station is a perfect retreat for those who want to have an escapade from their busy lives. Barkot offers an awe-awakening view of the massive Bandarpunch Peak along with the glorious view of its bewitching landscape. The mornings are pleasant here, as the birds wake you up with their chirps and the whispers of river Yamuna accompany you on the quest nature. One can relish the fresh fruits from the glittering apple orchards of Barkot. Not just this but, the scenic hill station of Barkot is also an ideal retreat for the adventure lovers and the pilgrims, offering trekking excursions and spiritual bliss to the visitors. Barkot is also a major stopover for the pilgrims visiting Yamunotri and Gangotri Dhams during Char Dham Yatra. There are several holy shrines and ashrams in Barkot where the visitors can find mental bliss and indulge in activities such as white water rafting and much more. There is nothing much to do in Barkot other than relaxing or taking break from your journey if you are going to Har ki Doon or Yamunotri (during Char Dham Yatra). But you can still take out some time for following activities. Shopping – One can buy local handicrafts such as shawls, religious paintings and Tibetan artifacts at Barkot. Woolen garments can also be purchased at Barkot. Trekking – One the best part of Barkot is trekking and hiking trails that takes one through forests and hushed hamlets. Trekking could be best experienced with family and friends. Adventure Sports – There are number of adventure activities that are offered in and around Barkot. Rock-climbing, mountain climbing and other various activities. Pilgrims and devotes travelling to Yamunotri for their pilgrimage can spend a day or two at Barkot which is at a distance of 46 kms only. 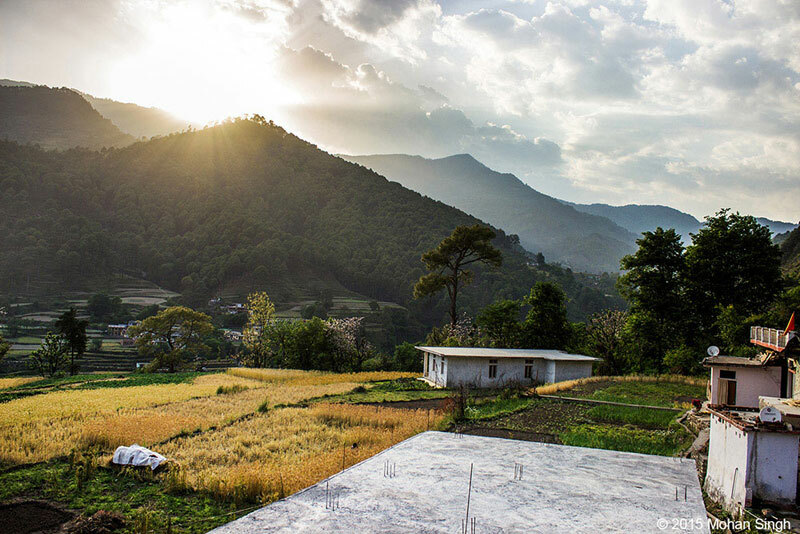 This beautiful hamlet offers majestic Himalayan views. If possible, avoid travelling in monsoons as the region is prone to heavy rainfall and landslides that could cause severe road blocks. There may be no ATM or petrol pumps at Barkot so it would be wise to get you money at Yamunotri before you proceed towards Barkot. If you are looking for a lot of sightseeing options with monuments or specific points, then Barkot is not the place to be. It is rather a quiet secluded place to unwind and experience the sound of silence. Being a small hamlet in the Uttarkashi district, Barkot do not have much fancy accommodation one would have hoped for, but the mesmerizing Himalayan view and abundant natural beauty makes up for it. Quite a few 3-star hotels and camps are available near Barkot. However, it is the humble 1-star and 2-star guesthouse and lodges which are in abundance at Barkot. GMVN guesthouses are cottages are also present in the region. Though most of the restaurants would easily serve North Indian and South Indian dishes, one can also go for the local cuisine like Chainsoo, Baadi, Jholi, Ras, Badil, Thechwani and Kafuli. For desert, Jhangora Kheer and Swala are localsweet dishes prepared from jaggery. Due to the religious significance of the place, most restaurants will not offer non-vegetarian food and alcohol. What is Barkot famous for? Barkot is famous among tourist as Important Char Dham Yatra Break on the way to Yamunotri. Barkot is popular destination for following activities/ interests - Business Hub, Char Dham Route. Travelling to Barkot in 2019? Contact us for planning your Barkot tour with best travel packages of as per your requirements!